The winner of the 2018/19 Best Rural Tourism Award is Wallops Wood Cottages! This Hampshire business impressed the judges with its commitment to inclusivity and sustainability, as well as the way it invests in its staff and other local businesses. The judges commented that the entry really made them want to book a holiday with Wallops Wood! The cottages comprise of 8 accessible, family and pet-friendly self catering holiday cottages. Each cottage sleeps between 4 and 8 people (altogether they have a capacity of 54 people) and are accompanied by a new indoor heated pool with jacuzzi (and accessible hoist). They are all VisitEngland 4* Gold-rated. Owned by Katherine and Andrew Graham, the cottages have all been converted from former agricultural buildings. Katherine’s family moved to Wallops Wood Farm as tenants in 1938, and have owned the farm since 1948. Their diversification process began back in 2004, when buildings were converted for other purposes, including offices, industrial units and residential lets. In 2014, the first five cottages were opened, with three more being added between then and May 2018. All the cottages at Wallops Wood Farm were built with accessibility in mind, and great consideration was given to the needs of mobility, hearing, and vision-impared guests. Located within the South Downs National Park, the cottages boast stunning views over the rolling countryside of the Meon Valley, down to the coast. The business is passionate about promoting its region, and the many rural businesses which operate within the surrounding areas. They create welcome packs using locally-sourced products, many of which are made by members of Hampshire Fare. Their extensive information pack promotes award-winning local pubs, as well as a wealth of local attractions, including walking trails, National Parks, historic houses and gardens, cultural and creative experiences, and children’s activities. In the coming year, Wallops Wood Cottages will take their support of other local businesses a step further, collaborating with others to create a range of experiences for visitors to enjoy. These will include local foraging tours, farm visits, food and wine tasting at Hambledon Vineyard, fly fishing and clay shooting with Meon Springs, and a rich calendar of events with other local artisans, makers, and producers. The complex will be the location for creative writing and photography retreats, while from March 2019 their new events and games room will host pop-up food events with local chefs, as well as yoga retreats. Their plans for the future don’t stop there though! Katherine and Andrew have gained planning permission for 10 treehouses in a 7-acre piece of woodland, with completion due in 2021. They will continue to explore other conversion opportunities, developing their business and continuing to create unforgettable memories and experiences for their guests. 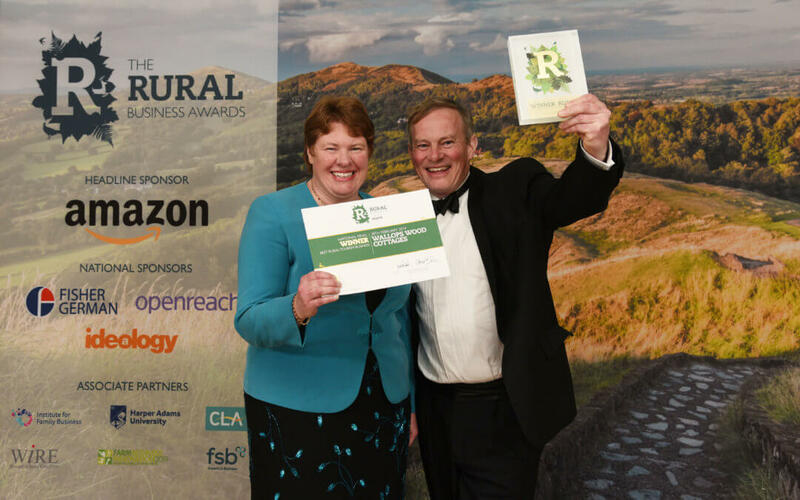 “We are so thrilled that our hard-work and dedication has been recognised with the award for the Best Rural Tourism Business. Wallops Wood started in 2014 as a diversification from farming, but has gone from strength to strength ever since. We are passionate about ensuring our holiday cottages are accessible for all, and work hard to support other local businesses. The Rural Business Awards have been a fantastic experience, and winning this award makes tonight even more special. 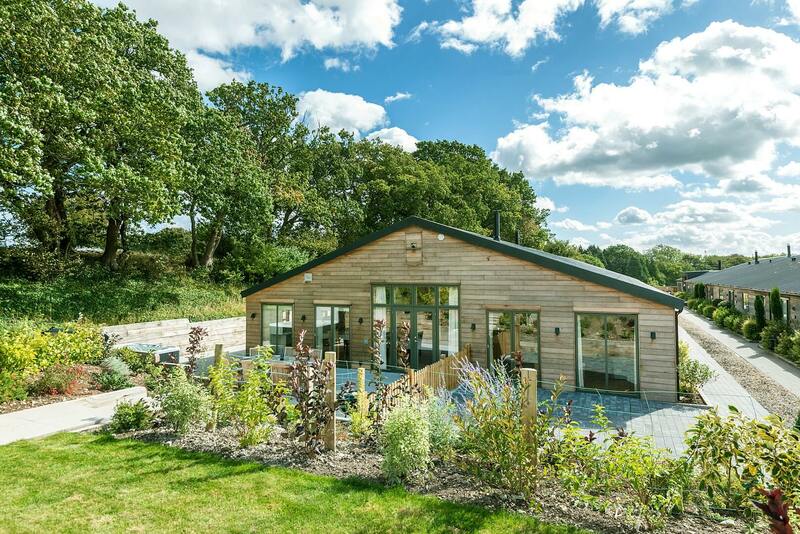 We hope that this success will inspire others to follow in our footsteps, creating holiday accommodation that stands out from the crowd.” – Andrew and Katharine Graham, co-owners of Wallops Wood Cottages.